Whether it’s self guided walking, coach touring, or river cruising we have some fabulous savings through our preferred partners to save you money on Europe travel. What will you do this year that you'll remember forever? Self Guided, Cruising or Tours? We've got a variety of trips on sale! February 2020 group departure to the Panama Canal. 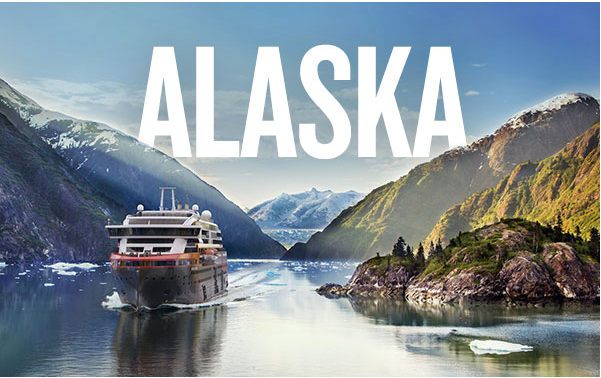 Save up to 25% off Alaska Cruises for 2020! We’re delighted to announce that Hurtigruten will be exploring Alaska in 2020! Whether you are interested in discovering the vast wildlife of the region—brown bears, caribou, bald eagles, and more—or learning about the indigenous peoples who have called Alaska home for thousands of years, we have the expedition for them. Each journey is aboard MS Roald Amundsen, our first-of-its-kind hybrid electric-powered expedition ship, perfect for sailing along the North Pacific Ocean on Alaska’s stunning coastline. Book by March 31, 2019 and save up to 25%! Dream of going on Safari and visiting the Serengeti Plains? Seeing the hippos swimming, the cheetahs running and the lions sleeping. Now is your chance! 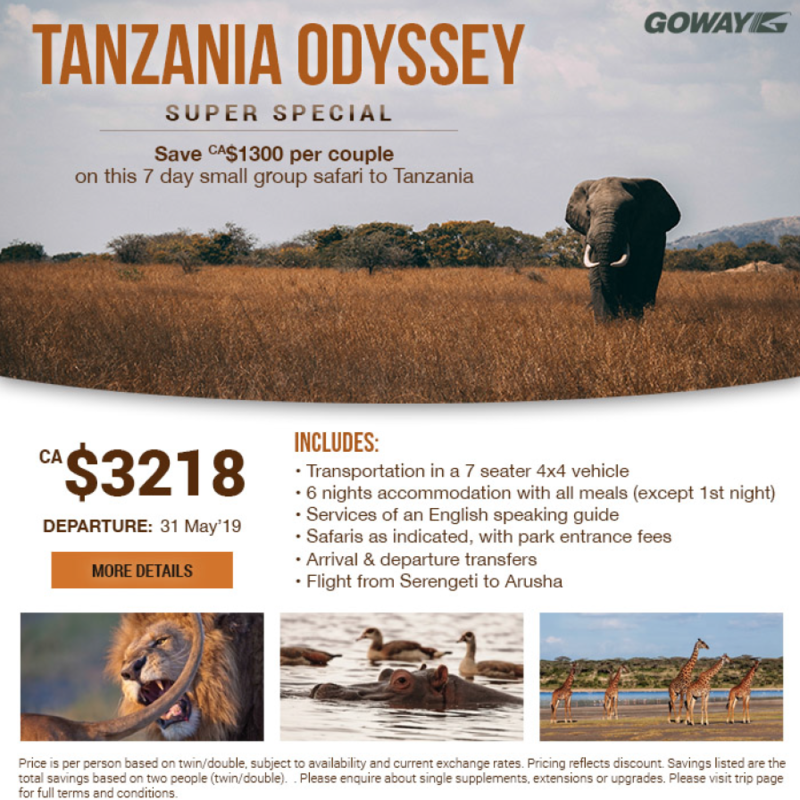 Goway Travel is offering huge savings for this 6 night/7 day safari inclusive of accommodations, meals, guides, drivers and transfers. Not to mention the oodles and oodles of wildlife for you to watch in awe over and create memories to last forever! International air is not included, so add ons to Zanzibar Island also available. Contact us for details and make that African dream a reality! Activate your energy with G Adventures! This March, save on hiking, biking and multisport-ing your way across the world. G Adventures has heaps of trips that engage the muscles as much as the mind and heart. Biking, Hiking, whitewater rafting, ziplinging and loads of other activities that end in ‘ing’! G Adventures provides the equipment, the experts and the opportunity; you provide the energy. AND save 15% on select Active tours when booked in the month of March for travel by Dec 31st!